I am available to teach private classes to individuals and small groups in your home or other location. We can customize a program for your group based on age, theme, or homeschool curriculum. 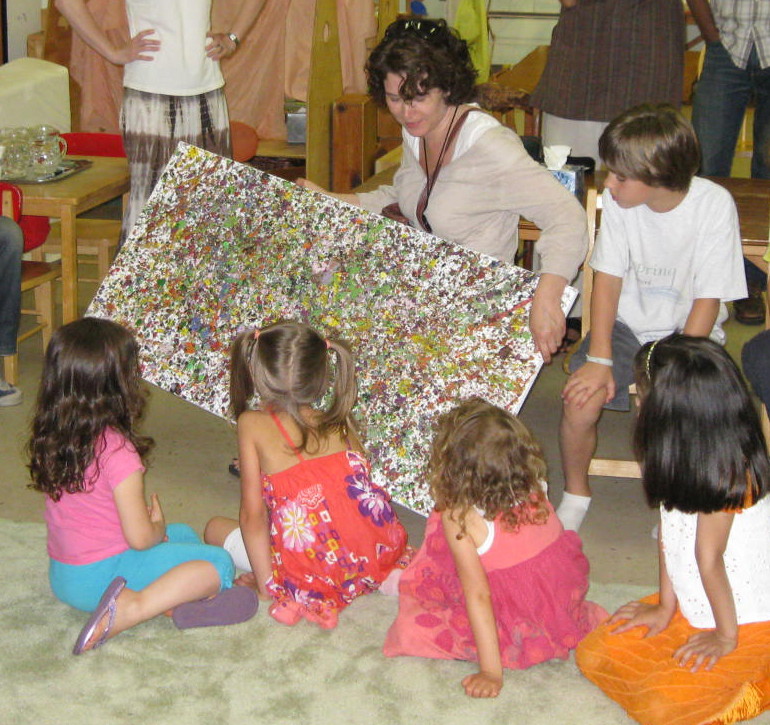 As a co-founder of the Wellsping Community School in Gladstone, NJ, I taught art to the students at the school. We had a great time experimenting and playing with new materials and sometimes making a mess. In this progressive educational environment, the children were supported in expressing their own ideas and creating truly individual works or art. The children’s energy and creativity inspire me and I am always learning from them. I have realized that sometimes that takes the form of movement with music as well as visual arts. I do whatever I can to support their own unique means of creative expression. – will explore and develop a creative process working with a range of materials such as paint, clay, wood, paper, plaster, and found objects. – are encouraged to engage in the process of art instead of moving towards a specific end result. – will experiment and play with materials. We will encourage individual projects based on the child’s ideas rather than the class creating similar projects or images. I believe that every child is an artist and that visual art serves as an important vehicle for expression. When children are allowed access to materials and freedom of expression, their creativity is strengthened. Class size is kept small with a maximum of 6 children which ensures individual attention as they move throughout their creative journey. We will also spend time speaking about our own creative process in relationship to our artwork as well as finding ways of discussing art is a supportive manner. I am very interested in working with homeschooling families to develop specific programs to meet your needs. Let me know if you are interested in developing a group of interested families. I offer classes during the day to work with your schedule. I am happy to announce Art-n-Soul retreats which will launch in the Fall of 2013. I will be joining forces with my friend Pascale Kavanagh of Feed your Soul – a wellness company, Inc. to offer retreats and excursions that unite creative expression with spiritual awareness. Please visit out Art-n-Soul website to see our programs.